I’ve been meaning to write this post for a number of months, as a conclusion to my Nuffield Blog. I am finally making it happen and am happy to share my final report (which has actually been published for a few months). When I applied for the Canadian Nuffield Scholarship, I hoped the experience would broaden my perspective on agriculture around the world. My Nuffield experience far exceeded my expectations and provided me with the opportunity to not only learn, but to develop friends and acquaintances around the world that continue to shape and influence me every day. My travels took me to Australia, New Zealand, the Netherlands, the United Kingdom, Western Canada, the United States (Washington DC and California), Mexico and Brazil. I logged countless miles in the air and acquired over 25 boarding passes in the process. In every country, I met people that exuded absolute passion and enthusiasm for agriculture and their businesses. Thanks to everyone who provided insight, conversation, and support to which was a truly an amazing journey. At the time of writing, I am on a plane about 3 hours outside of Sydney, Australia. I feel bound in my seat. The map on my seat back screen tells me I’ve travelled 6283 miles since leaving Vancouver and have 1420 to go until we land. I left Toronto at 8:30 pm Sunday. I have no idea what the real time is, but it’s time for the guy beside me to have a shower. I change planes in Sydney and land in Brisbane around noon Tuesday (Australia time). Toronto to Brisbane total travel time is expected to be 26 hours. I’ll be spending the next 3 weeks in Australia, with stops in Queensland, South Australia and Victoria. 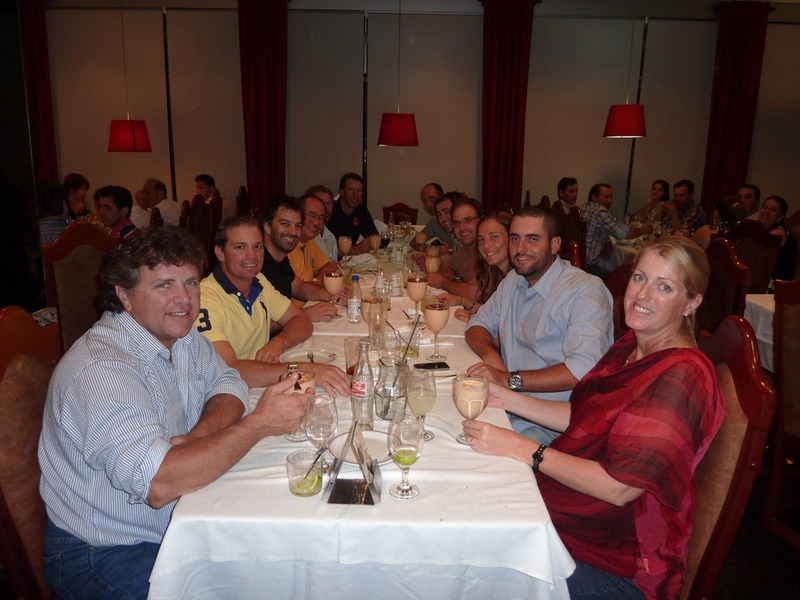 In Queensland, I’ll be attending the Nuffield Australia Spring tour and meetings. I’m looking forward to catching up with my travelling companions from the Feb-Mar 2012 Global Focus Program. From Nov 1-13, I’ll be travelling on my own, meeting with farm organizations, research institutions, and companies involved in grain research. Australian farmers, government, and companies have formed several unique partnerships to develop new crop genetics and varieties. I’m excited to learn about how these partnerships are working farmers. The past 6 months since the end of my Nuffield Global Focus Program have been busy with farming, Grain Farmers of Ontario, my Nuffield project, and of course my family. Spring came early this year in Ontario and our corn, soybeans and white beans were planted in near ideal conditions. The crops had a great start and then in mid-June it stopped raining until the first of August. This severely stressed the crops, with our corn showing the most visible damage. However, the August rain must have made a big difference, as our soybean and white bean yields were close to average. Corn harvest is underway, and I expect about an average crop. I had a great summer, fitting in a trip to the UK to meet with researchers and farm organizations, and a family driving trip to Prince Edward Island and New Brunswick. At Grain Farmers of Ontario, I am excited to apply what I’ve learned directly, as we are in the midst of developing a new major research partnership program – the Canadian Field Crop Research Alliance. This is a partnership between several Canadian farm organizations, government, universities and companies to develop and commercialize new crop varieties. I’ve been on the look out for a Nuffield tractor. 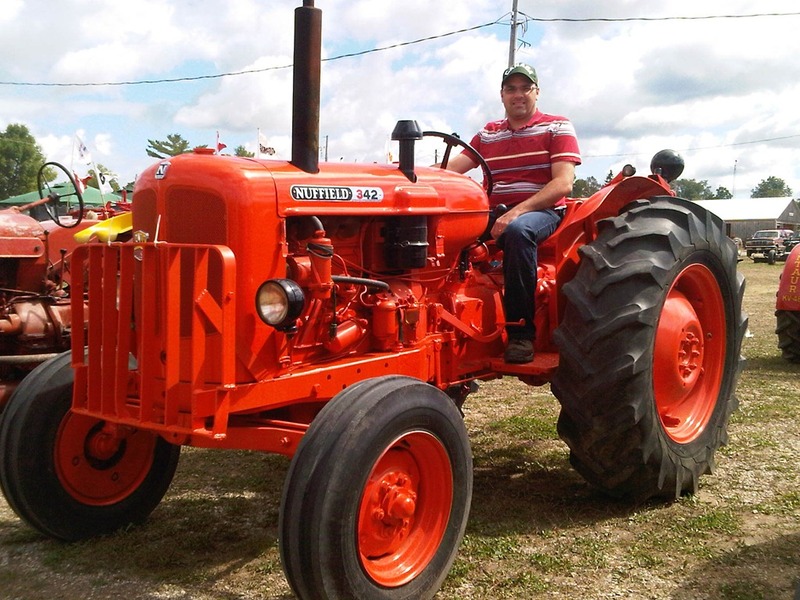 I was at an Antique Tractor and Steam show in Blyth, Ontario in September and came across this beautifully restored Nuffield 342. I couldn’t find the owner through. We arrived in Uberaba, Brazil, the Beef Capital of Brazil on Thursday, March 30th, and enjoyed a traditional Brazilian barbeque, complete with an endless supply of skewered meat. On the morning of March 31st, we visited ABS, a bull breeding centre that houses 120 bulls. The bulls here are much different than Canadian bulls. Lots of Brahman and Nelore, and some Gir and Brangus and Simbrah. 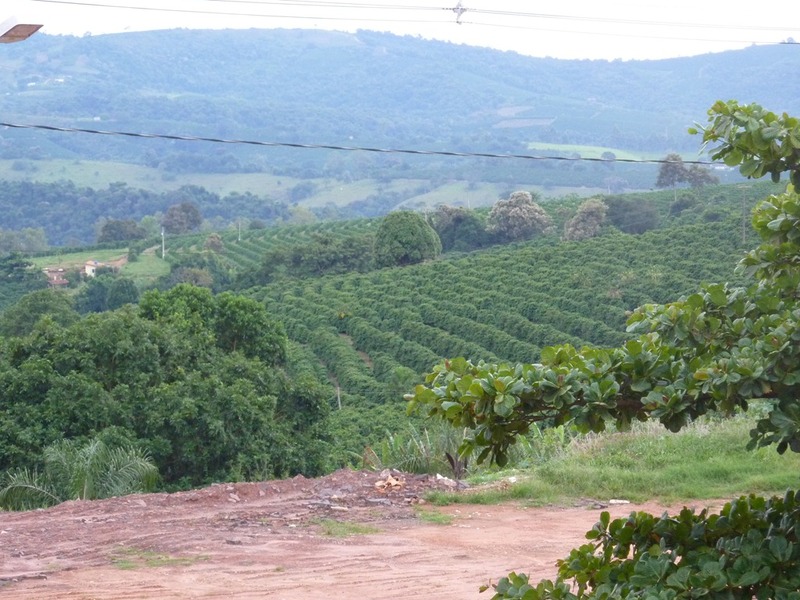 Brazil is the largest coffee producer in the world. We traveled to the heart of coffee country and visited a coffee processing coop and a coffee producer. We learned that the best coffee beans come from the highest elevation and that the best way to evaluate bean quality is through trained taste test. The final farm stop of our trip was at a large family farm in the coffee region near Carmo do Rio Claro. This farm started out small, and has grown into a diverse operation with 3 generations involved. Currently, they milk 1100 cows, raise 1500 Nelore beef cattle, raise fish in ponds, and grow numerous crops including coffee, corn, sorghum, soybeans, and sugarcane. 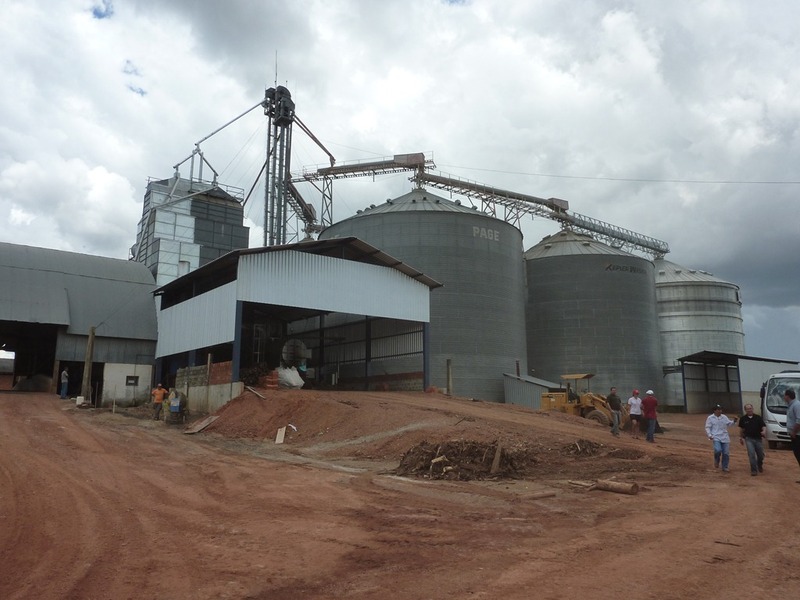 They also run a distillery where they make and sell 100,000 litres of Cashaca per year – a Brazilian sugarcane liquor. Despite this farm being large and diversified, it still felt like a family farm. It was perhaps the most picturesque farms I’d ever seen. This land is highly productive - they grow 3 crops per year on irrigated land – corn, sorghum and soybeans. 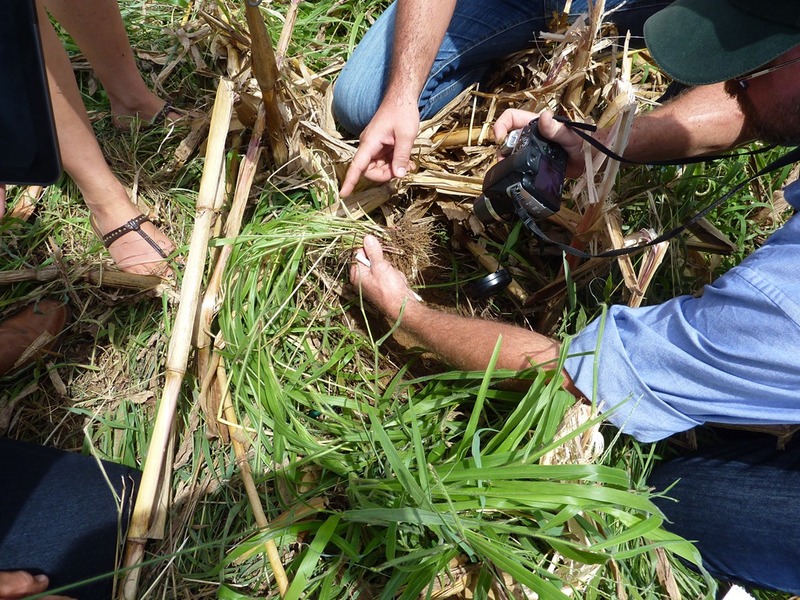 On non-irrigated land, they grow 2 crops per year – corn, soybeans, and a turnip cover crop. This brings me to the end of Nuffield Global Focus Program. I have many more experiences to share and have only been able to write about a few. I look forward to sharing my experiences with others over the next few months. I hope to keep blogging, but don’t hesitate to contact me about any interesting ideas or with any questions about my travels. The Nuffield experience is truly like none other in the world. If you are interested in exploring it, be sure to check out the Nuffield Canada website at www.nuffield.ca. Applications are now being accepted for 2013, and lots more information is available about the program. 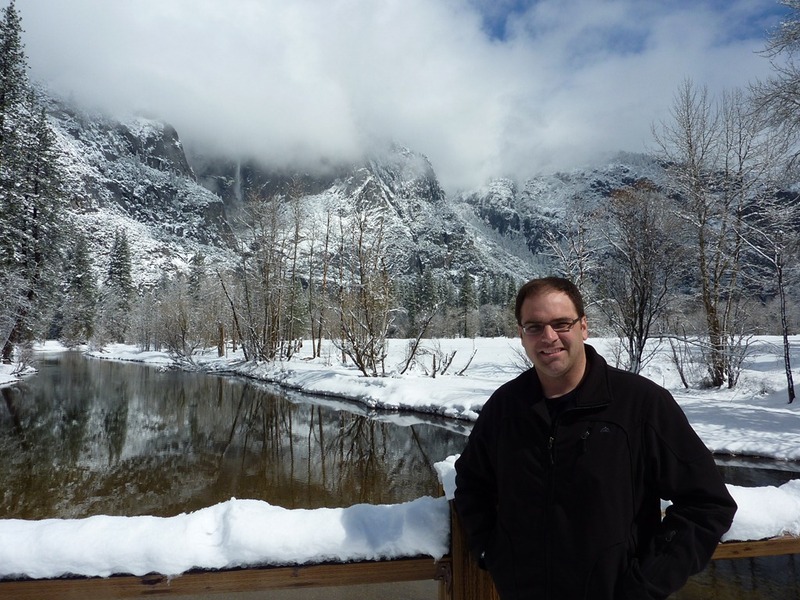 I am now home in Guelph and have had a few minutes to reflect on this trip. It will take me a bit more time to fully appreciate all that we saw. These experiences would not have been possible without the time and effort of volunteers around the world. In each country, there was a lead organizer who lined up meetings and visits for our group. This is not an easy task, and I truly appreciate the time and effort that allowed us to fully experience each country. I would also like to thank the dozens of farmers and business leaders that opened their doors to us and shared their real business stories and advice. We had many open and frank discussions about running agricultural businesses and learned a lot. 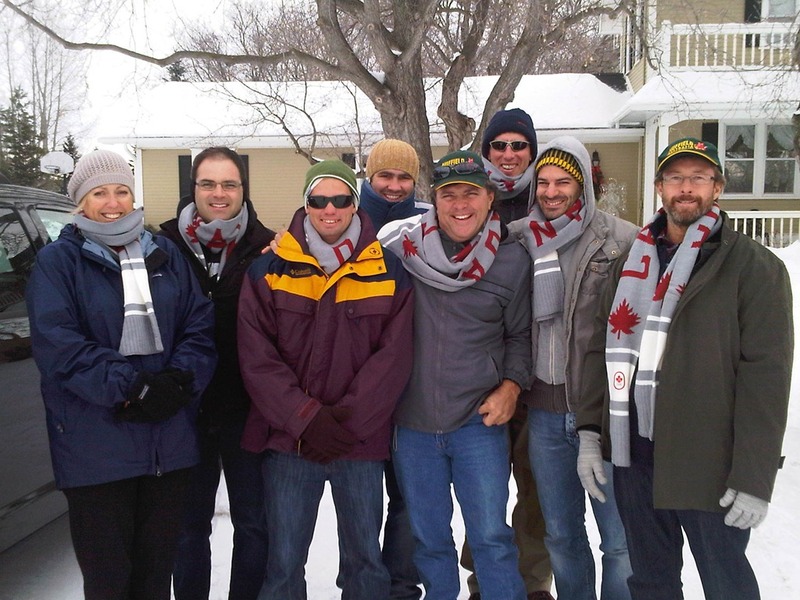 Thank you to Nuffield Canada for selecting me as a 2012 Canadian Nuffield Scholar and providing financial support. The encouragement to participate in the Global Focus Program was some of the best advice I’ve ever had. I also would like to thank Nuffield Australia for organizing the Global Focus Program and opening their doors to Canadian participation. And finally, thank you to Grain Farmers of Ontario for allowing me to take time out of my job to pursue this endeavour. I can’t wait to get back to work and build upon and apply the things I’ve learned about global research and developing new markets for agricultural products. Damian, and Natalie for accepting the ‘token Canadian’ so warmly. I am grateful to have spent this time getting know you and having so many laughs. 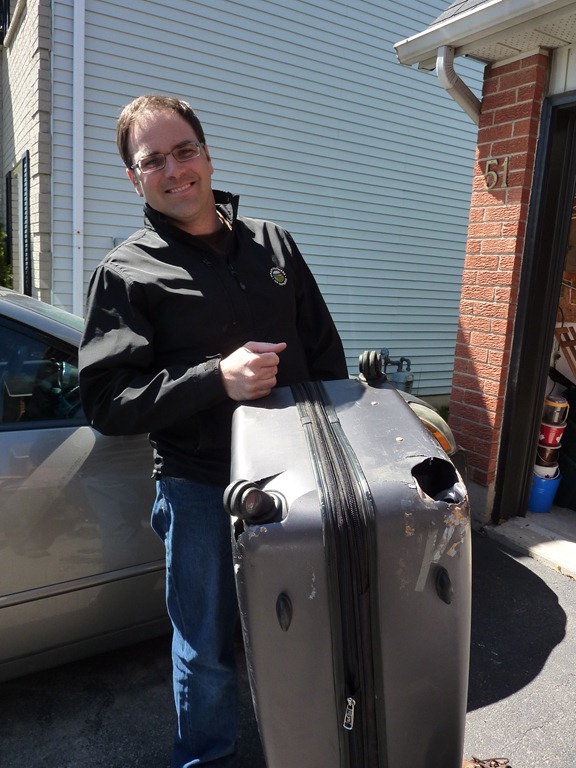 My suitcase BARELY made it home! 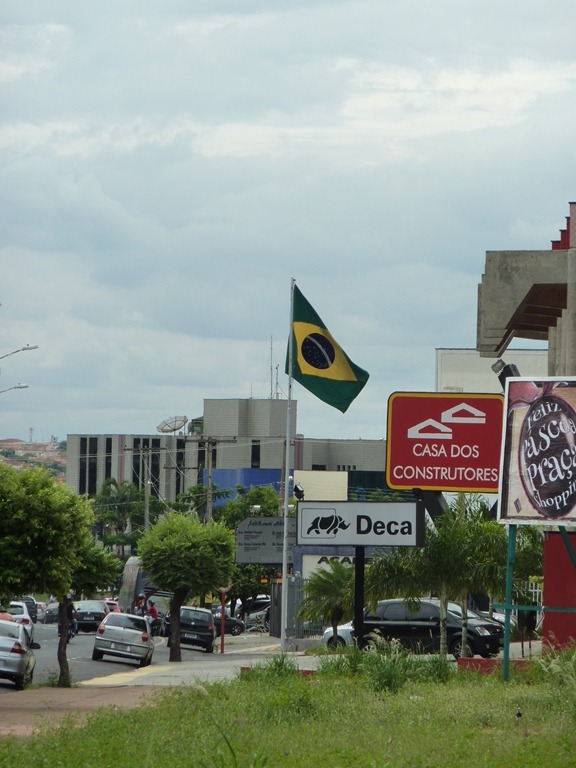 The second leg of our travel in Brazil took us to Brasilia, the capital city. We met up with Milton Suzuki, Bayer Field Trial Manager, who organized our itinerary and guided us through rural Brazil. We are accompanied by Sally Thomson, an Australian who has spent significant time in Brazil and Pablo Manfrim, a Brazilian farmer. It is great to be travelling with people so knowledgeable about Brazilian agriculture to interpret both language and what we see. I am grateful they are taking their time to help us experience the real Brazil. Brazil is a very large country and we are spending significant time in the bus. 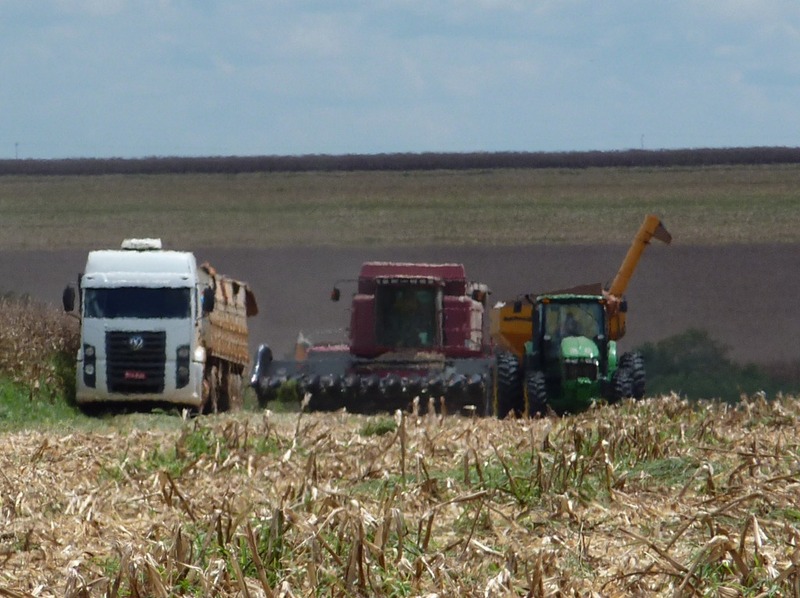 We left Brasilia first thing March 28th and travelled to Wehrmann Farms in Christalina County, in the Goias State. They grow corn, soybeans, potatoes, carrots, onions, and are the largest garlic producer in Brazil. They also run their own potato, garlic, corn and soybean breeding programs. It was amazing to learn that they grow vegetables year round and can plant and harvest almost any day of the year. 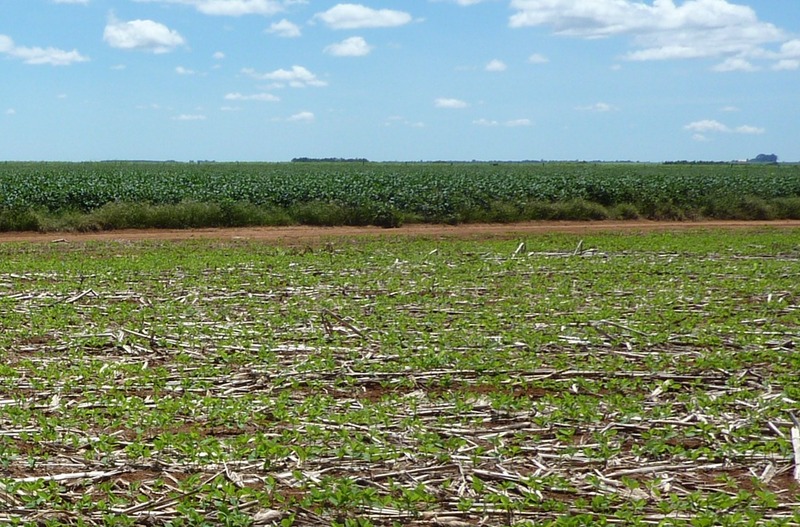 The climate in this part of Brazil provides flexibility for farmers, especially when they have irrigation in the dry season (May-September). I saw soybeans at the 3rd trifoliate, pod set, and ready for harvest all on the same farm. 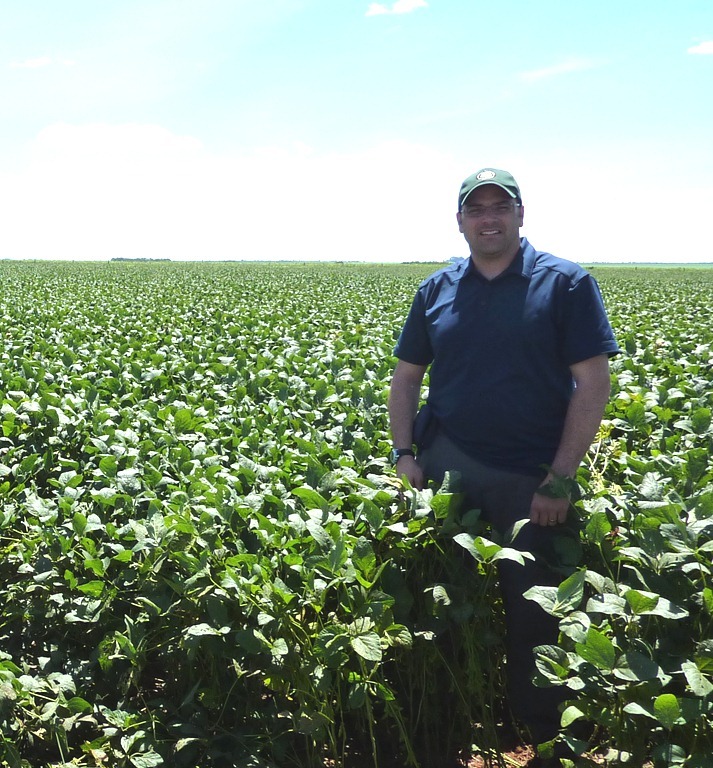 Soybean rust is a major problem in this area, with farmers averaging 2.5 fungicide applications per crop – this would seriously change the economics of the crop if we had that amount of rust pressure in Ontario. As a result of soybean rust, the government has disallowed soybean production from May to August, as an attempt to break the disease cycle. On March 29th, we visited a very impressive crop farm. 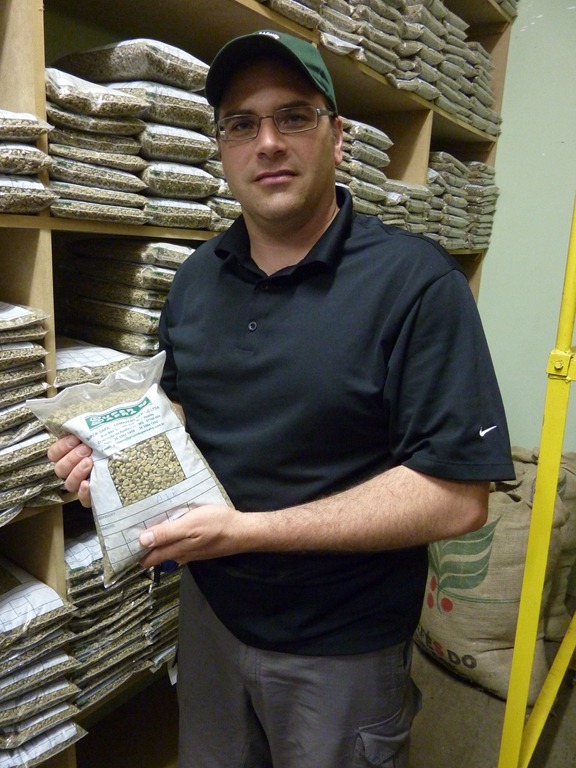 Adalberto Piassa farms about 15,000 acres of corn and soybeans in a 100% no till system. To help maintain soil structure and control diseases, he plants a grass cover crop that grows under the corn crop. I was amazed at the lushness of this grass under the corn. Adalberto explained that he keeps the corn clean for the first 30 days after planting and then lets the grass grow. He figures he doesn’t lose any corn yield and adds 10% to his soybean yield the following year. He called it the ‘Santa Fe’ system. 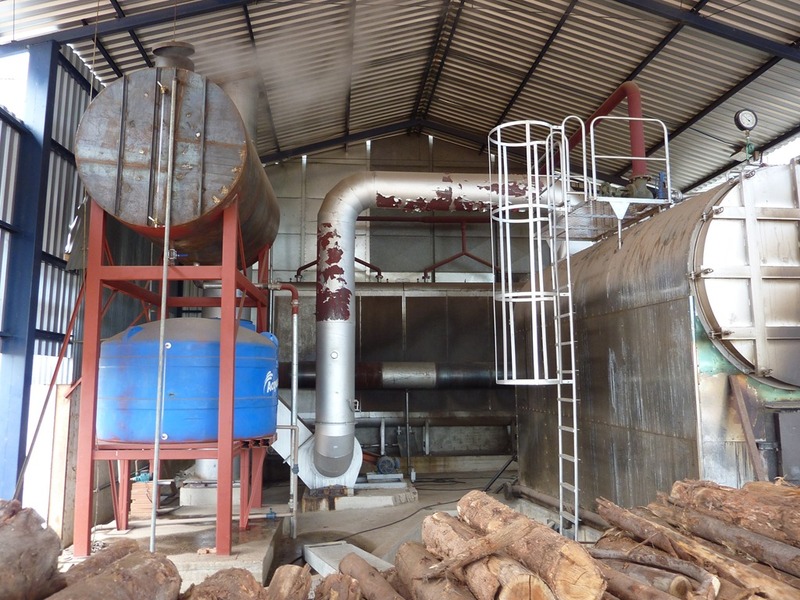 Grain drying is quite cost effective as their main source of fuel is eucalyptus wood. These extremely fast growing trees are planted and harvested for wood production on the farm and it runs their grain dryer and heats air going into their bin aeration systems. Judging by their crop coming out of the field, I expect they would only need to dry corn and soybeans by a couple percent. These eucalyptus trees are 5 years old! Harvest is underway. Is this the ultimate biofuel crop? CaseIH and John Deere combines working side by side. Soybeans were running 62 bu/ac in this 1200 acre field. 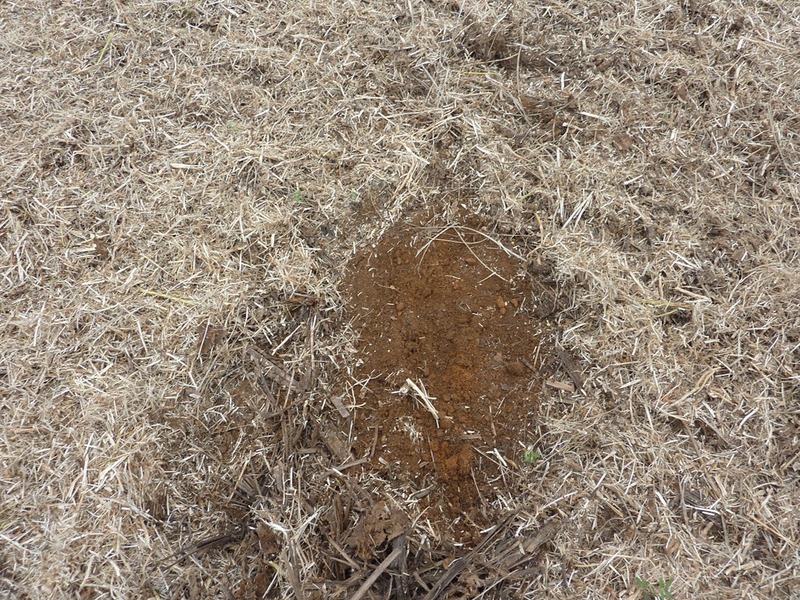 Red coloured soil – naturally low in Phosphorous and Potassium. Gypsum and lime applied to correct pH and P & K fertilizer applied to provide crop nutrients. Grass crop growing under canopy of corn. 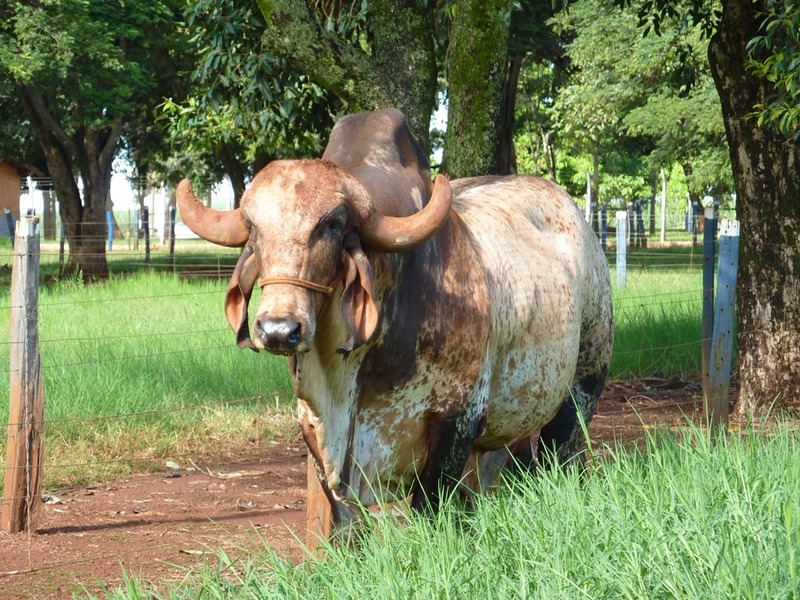 Brazil – Can Cattle and Cane Coexist? 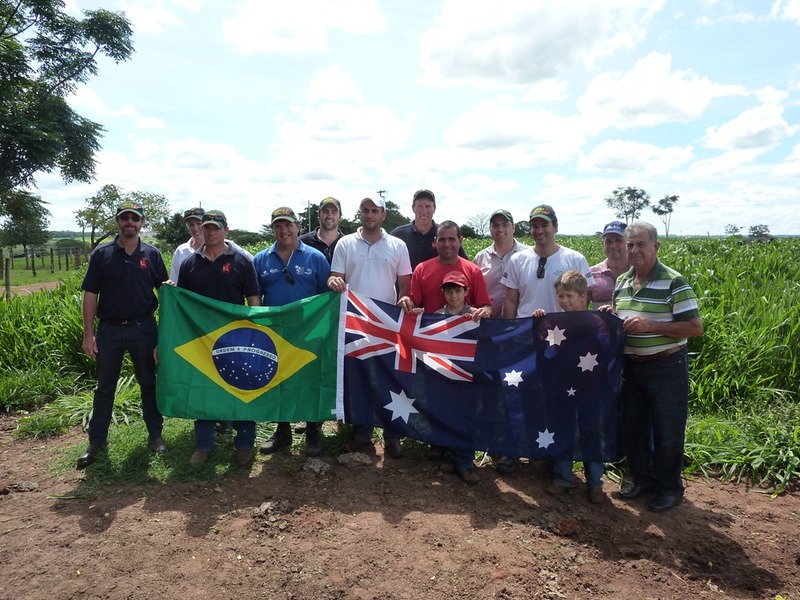 The final country on our Nuffield Global Focus program is Brazil. On March 25th, we touched down in San Jose de Rio Preto, a city of about 500,000 people in the state of Sao Paulo, Brazil. We met up with Pablo Manfrim, a Brazilian farmer who guided us through the country for the week. I quickly realized that this part of the world is much different than home in Canada. Within about an hour of driving in the country, I saw several things I’d never personally seen before: mango trees, coffee trees, banana trees, rubber trees, eucalyptus trees, sugarcane, and Nelore cattle. Right now, farmers are near the end of their summer cropping season and are gearing up for harvest and planting of the ‘winter’ crop. Brazil is a huge country with a lot of diversity. We spent our first 3 days in the South Central state of Sao Paulo, an area that has traditionally been dominated by beef cattle. 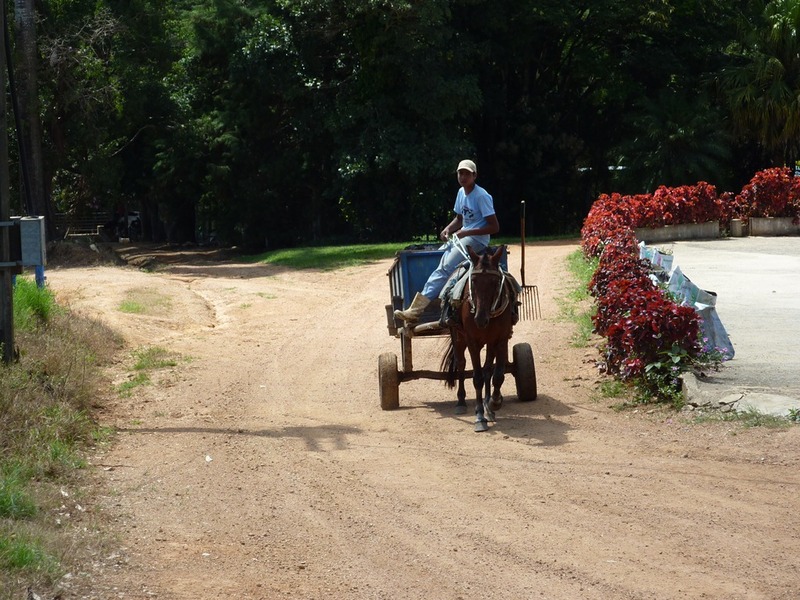 This area of Brazil has undergone a dramatic agricultural transformation in the past 10 years. 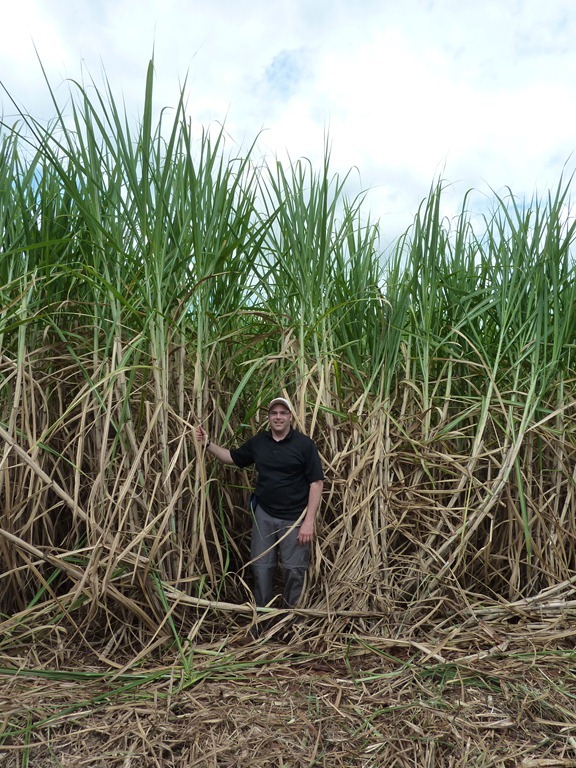 There has been a massive shift from beef cattle to sugarcane production and we saw plenty of evidence to show us that this shift continues today. Another big shift has been investment in farming by large companies looking for income and diversification. We were fortunate to be able to meet with both small family farmers and large corporate farming enterprises. They farm side by side on similar land, but have vastly different approaches. The small farmers we met with were primarily dairy and beef farmers, milking 40-70 cows on 60-200 acres. The two large farms we visited were each cropping 30,000 to 50,000 acres of land, primarily in sugar cane. One of the farms also had a 35,000 head beef feedlot, based on a corn silage and corn grain diet and were transitioning to more sugar cane. 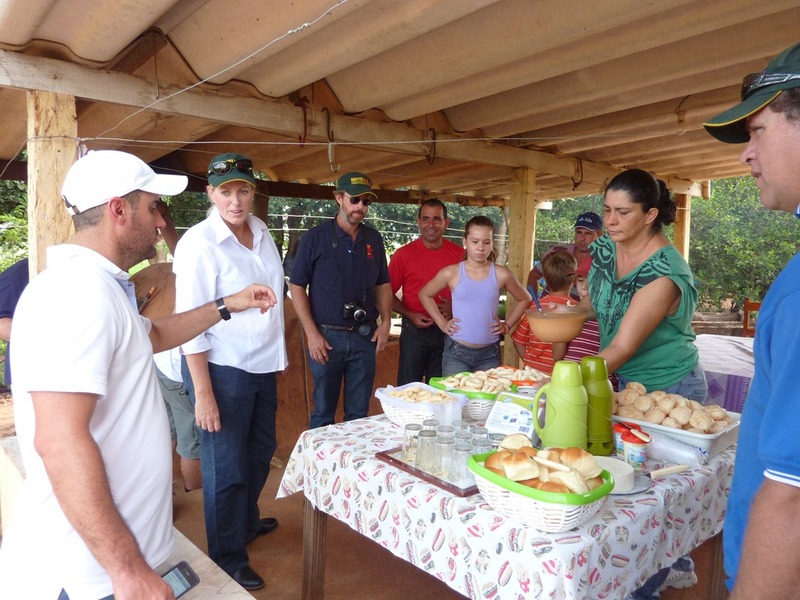 The small farmers we met were taking part in a Brazilian government supported research and technology transfer project – PROJETO BALDE CHEIO, aimed at increasing productivity of small farmers. This program is targeted toward dairy farmers with less than 250 acres, and includes veterinary support, agronomy and irrigation consultation as well as networking opportunities. 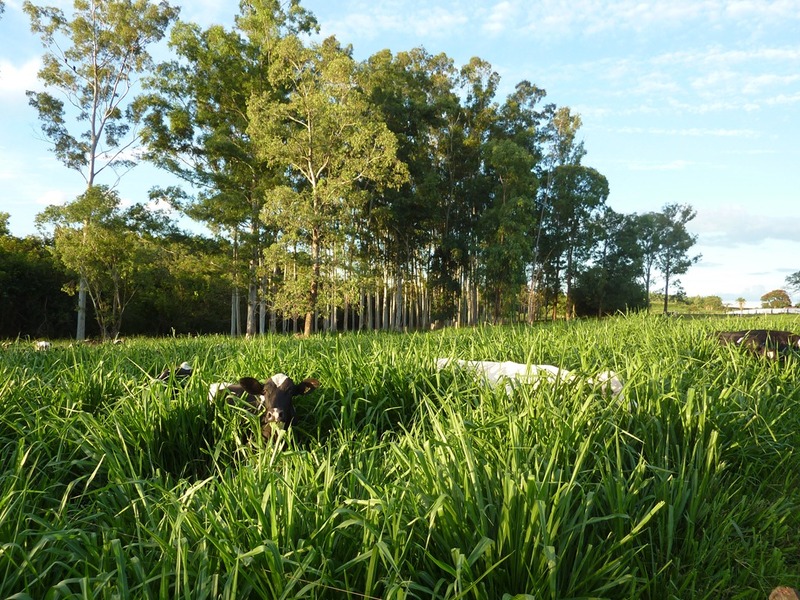 Farmers in this project are growing a fast growing grass called Mombaça, which is mob grazed by their dairy cattle. It was really interesting to learn about their farming systems and see that they are able to support their families in an efficient and productive smaller scale enterprise. The large farms we met were diversified and achieve their goals through expansion and spreading infrastructure costs across many acres. 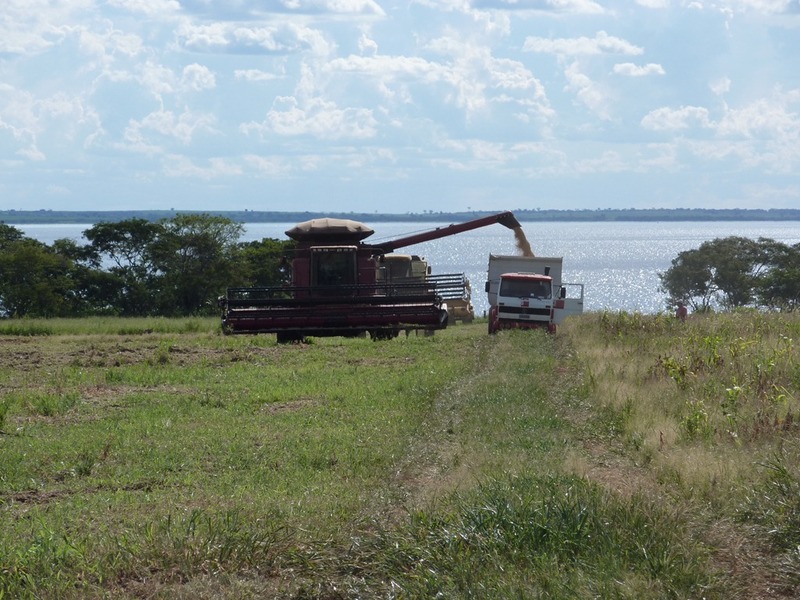 While we were at one farm, they had crews harvesting corn silage, combining soybeans, cutting sugarcane, planting corn and planting sugar cane. The second farm we visited focussed primarily on sugar cane. They own several sugar and ethanol plants and own and contract thousands of acres of sugar cane. 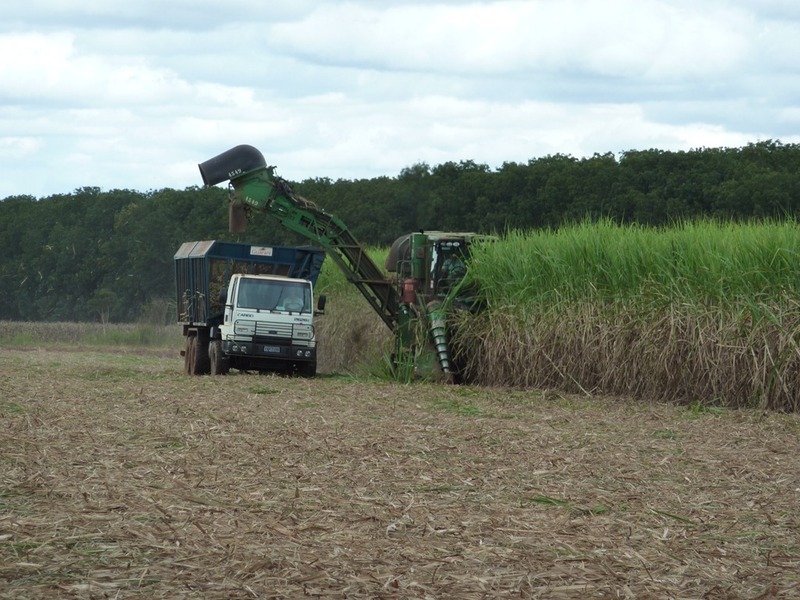 It was great to see cane harvest in progress and check out the harvesting equipment. It will be interesting to see how these farmers fare in the future. The contrast between small and large is stark, and I wonder if they will be able to happily coexist. Small farmers are generally constrained by the land they own and focussed on maximizing productivity. Large farmers have access to cash and can expand, but return on investment must be sufficient to keep their owners interested. Our Nuffield Global Focus program took us to the Yaqui Valley in the Sonora State of Mexico from March 19 to 23rd. 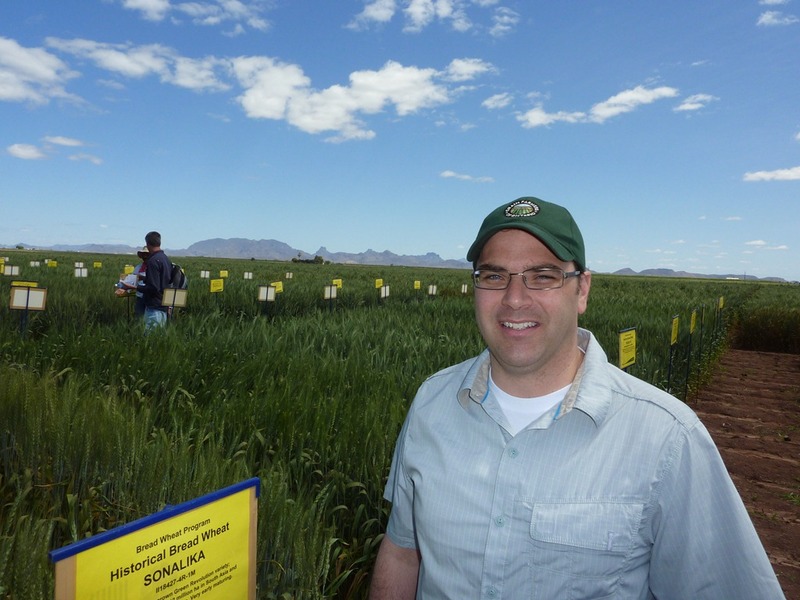 The Yaqui Valley is home to one of the most important agricultural research stations on the globe – CIMMYT (The International Wheat and Maize Improvement Center). 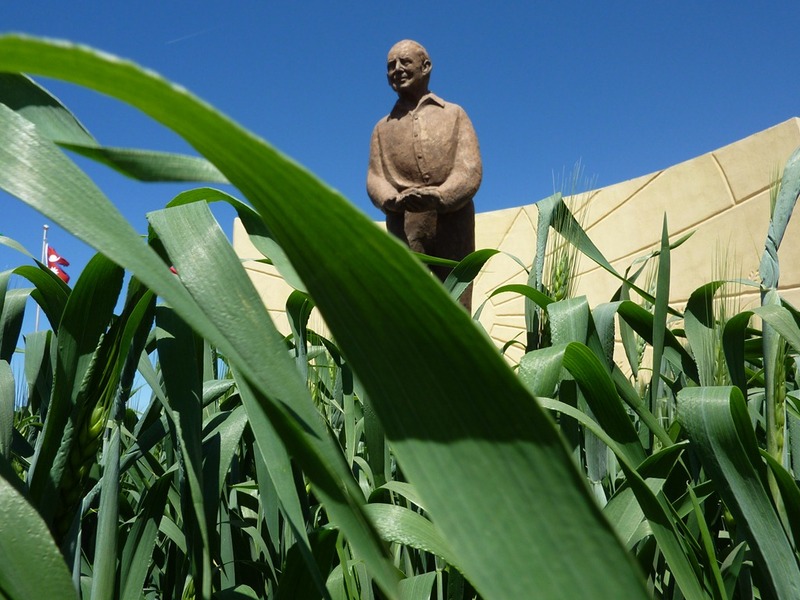 CIMMYT is where the Green Revolution started under the leadership of the late Dr. Norman Borlaug. It was here that new wheat varieties were developed that helped Mexico, Pakistan and India become self sufficient in wheat production by the mid 1960s and is said to have saved a billion people from starvation. Today, CIMMYT runs an international wheat and corn breeding program and shares their genetics freely to any interested breeders from around the world. They have 450 acres of plots at the Yaqui Valley station and coordinate plots and research at many other stations around the world. Dr. Norman Borlaug was awarded the Nobel Peace Prize in 1970 for his accomplishments. I had the honour of shaking his hand in 2005 at the International Wheat Conference in Argentina where he was the keynote speaker. His speech focussed on the need for farmers to develop and adopt new technology. The topic of his speech has stayed with me and it is inspiring to see his work carried on today with such enthusiasm. International collaboration was evident, as we met scientists from Australia, USA, South Africa, Mexico, and France during our short time there. 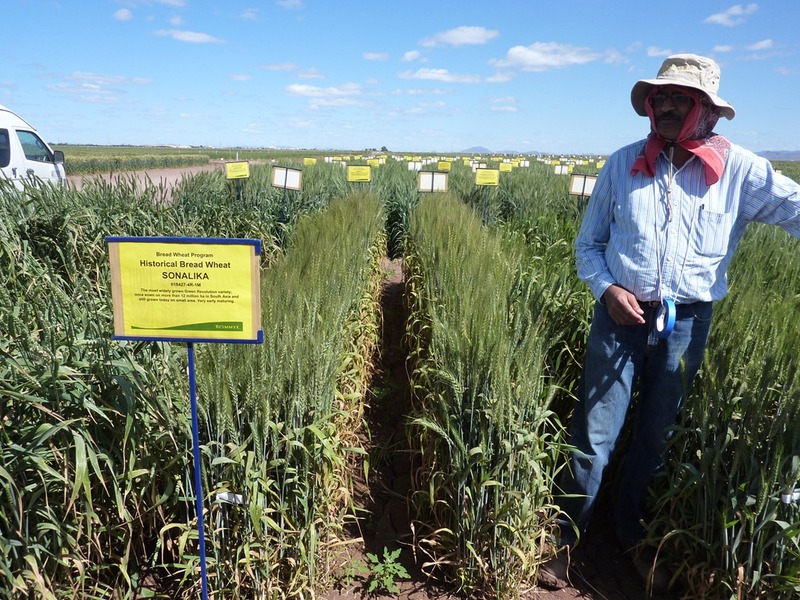 "To produce, you must leave office, go into the field, get your hands dirty and sweat, is the language that they understand the soil and plants"
In the field, Dr. Ravi Singh showed us some of the historic wheat varieties developed at CIMMYT. This plot is the variety Sonalika, which was grown on more than 12 million hectares in South Asia. CIMMYT is home to a gene bank of over 120,000 lines of wheat. These historic lines are important as we develop new technologies to search the genome and select traits that are desirable in today’s growing conditions. While in Mexico, we also met with the primary farm and research organizations in the state of Sonora – AOASS and PIEAES (The Agricultural Research and Experimentation Board of the State of Sonora). These groups are very forward thinking and their goals are aimed at maximizing returns for Mexican farmers in the state of Sonora. 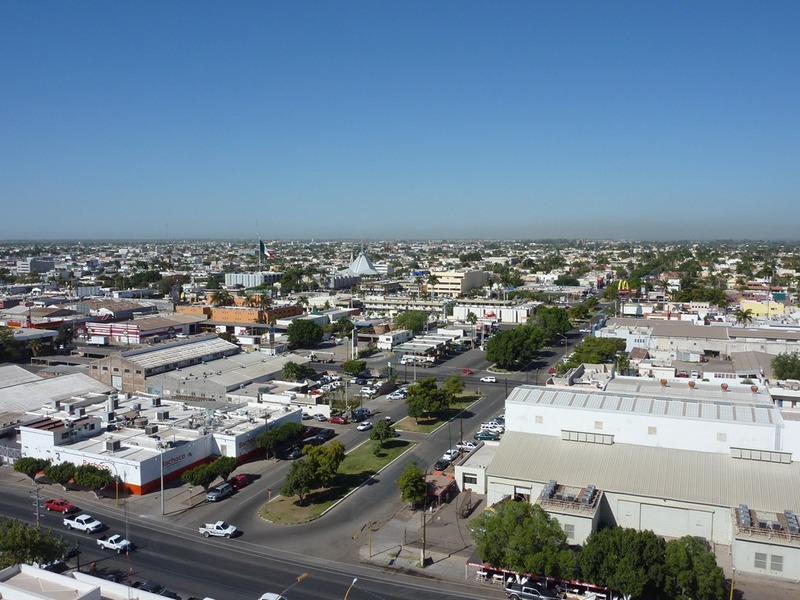 We toured one of their grain elevators, and were able to view the city of Obregon from the top of their silos. Our 6 days in California flew by and now I am in the air on the way to Obregon, Mexico. 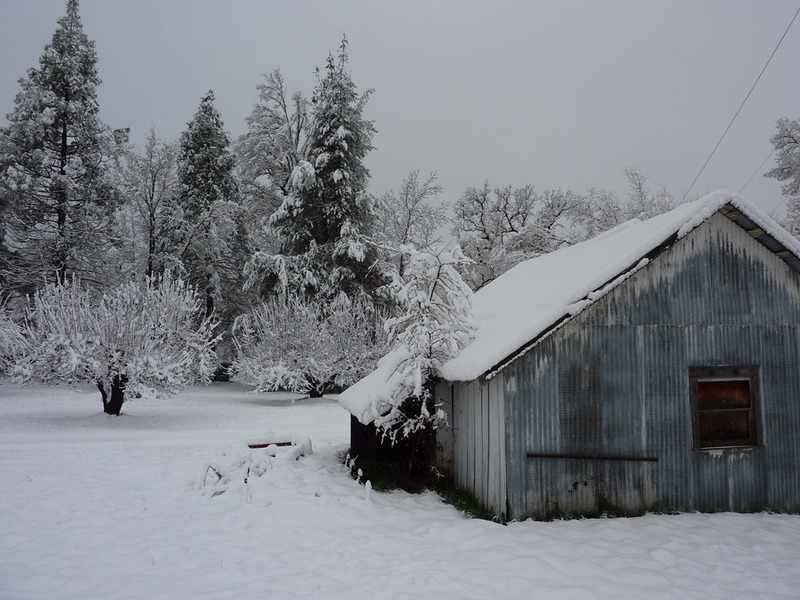 Almost every farmer we met mentioned that California has only had 30% of normal precipitation this winter. Winter rain is important to recharge the underground aquifers and above ground irrigation water reservoir systems throughout the state. Winter rain is stored becomes summer irrigation water. It was mentioned they were looking for a ‘March Miracle’ in the form of rain. Well, they got it! We had a good two to three inches of rain while we were there, a significant amount for this area. 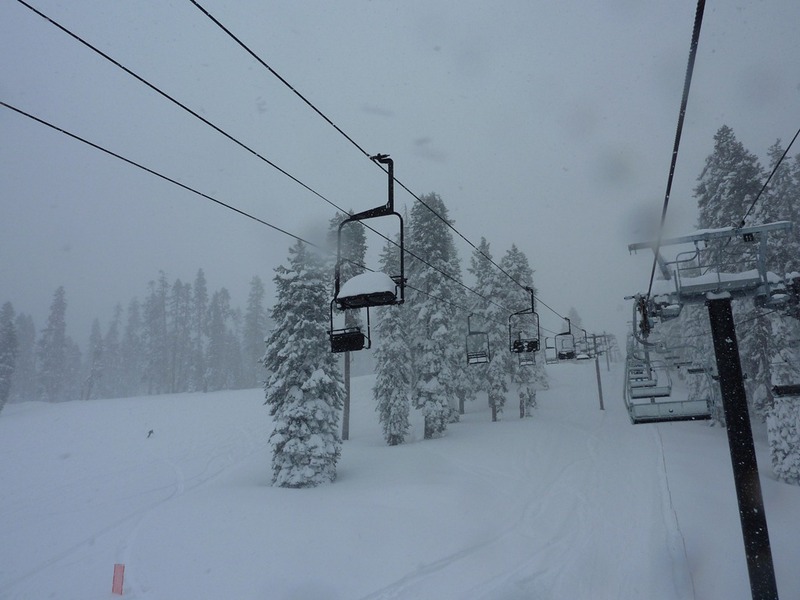 The precipitation also provided us with a bonus on Sunday – skiing at Yosemite National Park! Sunday, March 18th was my 35th day away from home and the first day since February 13th I didn’t have a flight or meetings. It turned out to be quite an adventure. We took off at 7am from our hotel in Fresno, California and headed north toward the Sierra mountain range, about 50 miles away. The drive started out great. It didn’t take long to leave the flat fertile ground behind and get into rough pasture ground with exposed rock as we travelled toward the mountains. Soon the snow started! At the small town of Coarsegold, we were stopped at a police roadblock. 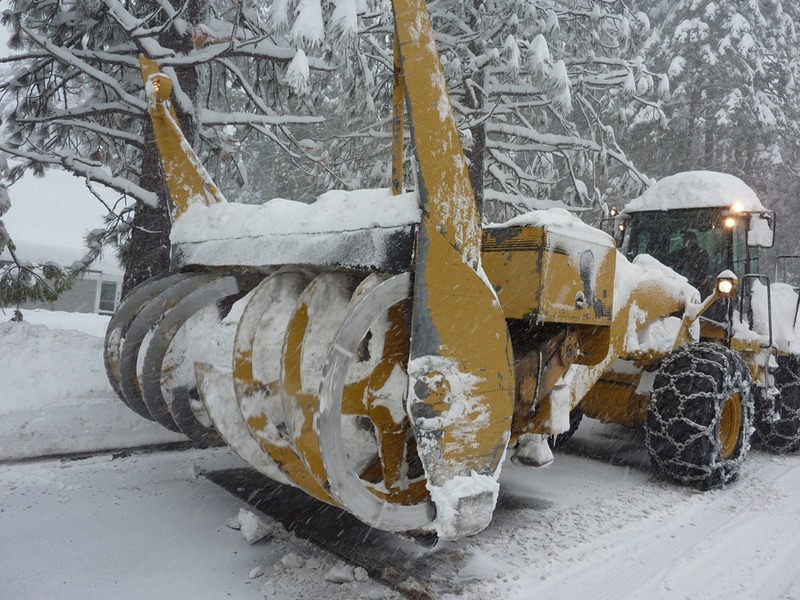 No one was allowed to continue without 4 wheel drive or tire chains – the first time I’d seen that! 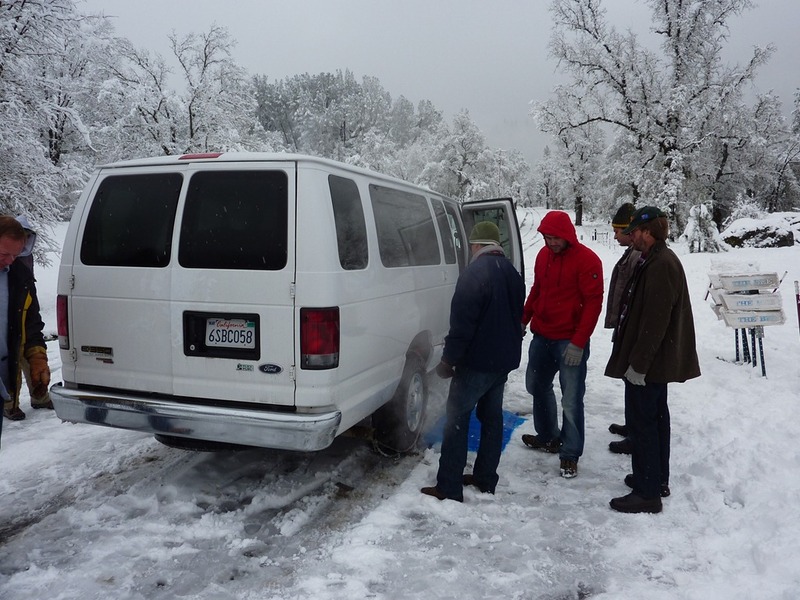 We managed to buy some chains for the van at a corner store and carried on. The snow got heavier and heavier and we continued our incline. 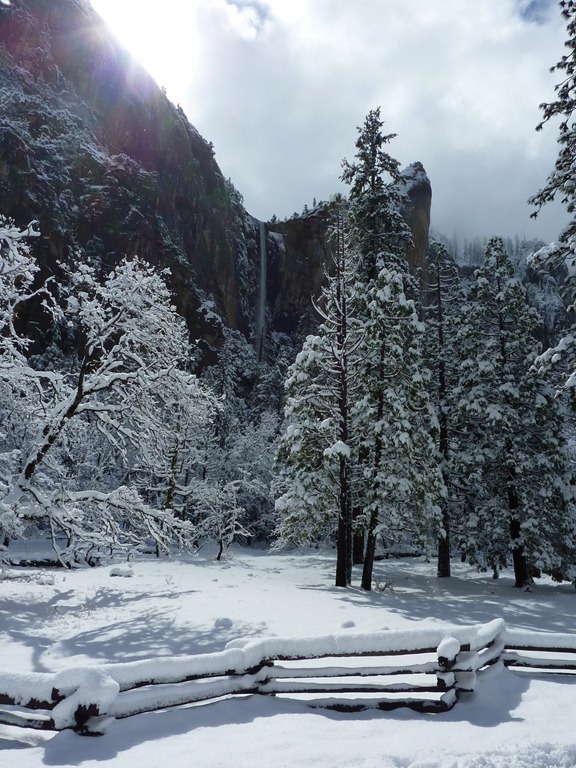 Finally, we reached the Yosemite Valley, deep into park, with a good foot of fresh snow. The views were spectacular! After lots of photos and a quick tour around the valley floor, we headed to our ski destination – Badger Pass. 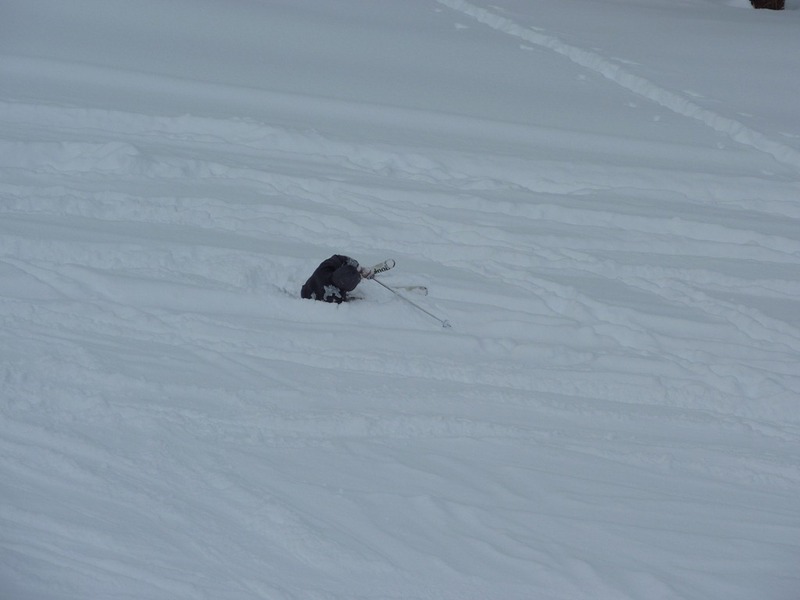 We weren’t well equipped with gear, but managed to rent skis and scare up some gloves. 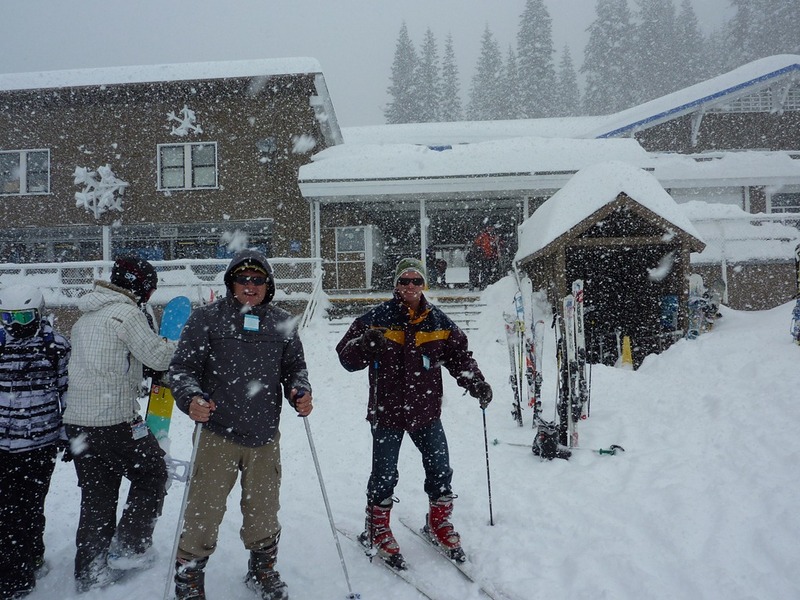 The snow continued and we skied fresh powder all afternoon. 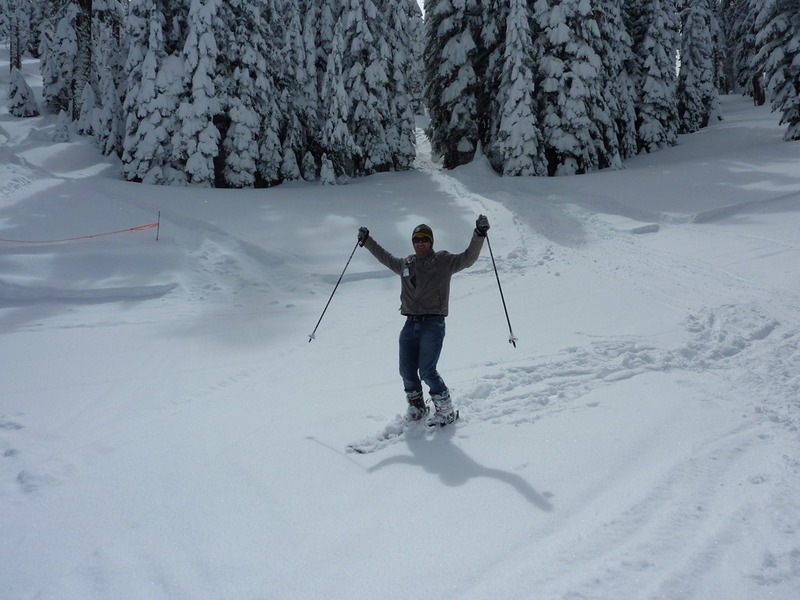 A ski hill staffer said it was the best ski day of the year. They had 3 feet of snow in 36 hours at the hill – amazing considering that less than 50 miles away they never get snow and barely a frost. The drive back down the mountain was rough. The roads were plowed, but slick with ice. 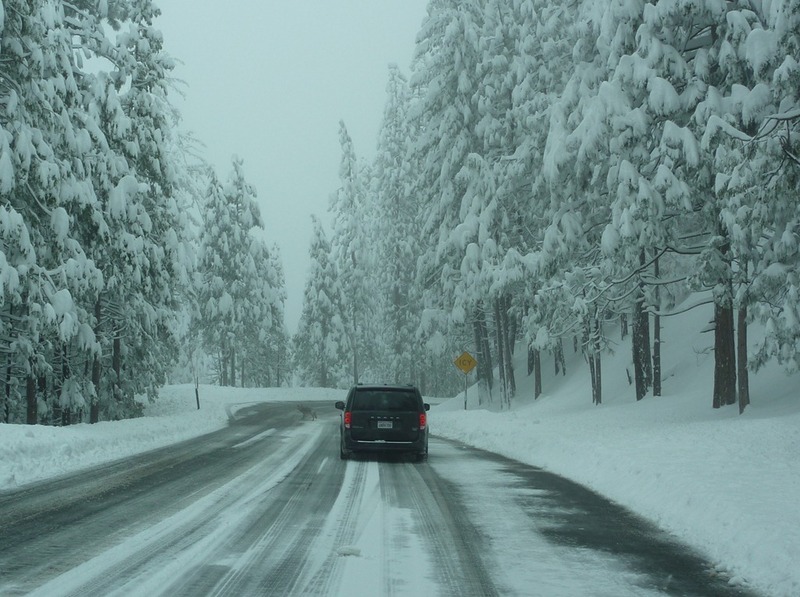 We made it without any major issues – I didn’t expect my worst winter driving experience of the year to be in California! A common scene – no serious injuries! 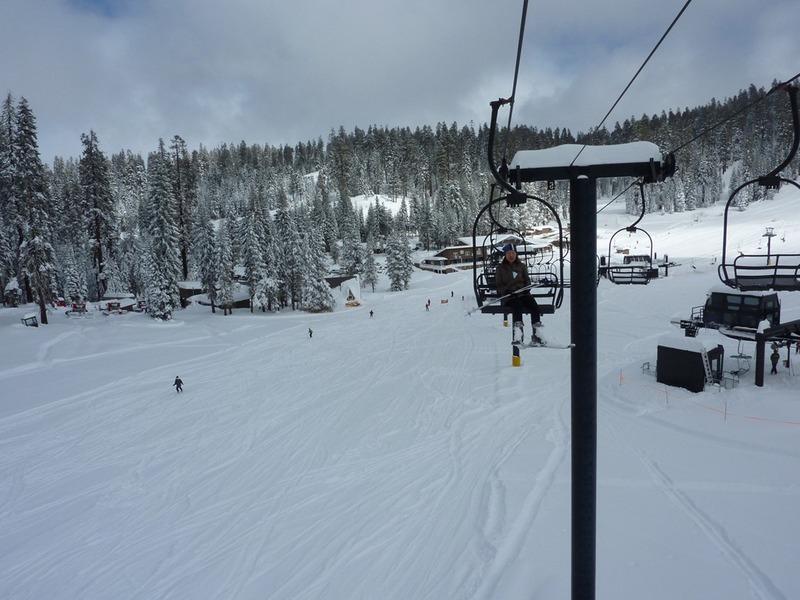 Spectacular view from the lift. Don't hesitate to send me a comment!